Jewelry Warehouse carries a large selection of Christian jewelry that allows you to pay tribute to your Savior during Easter and everyday. We have contemporary as well as modern styles from you to choose from. From necklaces, rings, earrings and bracelets, these pieces show that you’re not afraid to declare your devotion. We also have cross jewelry available for children. These pieces would also make great gifts for those that are getting baptized. 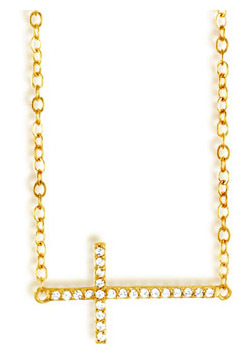 Have you seen the East West Cross jewelry? 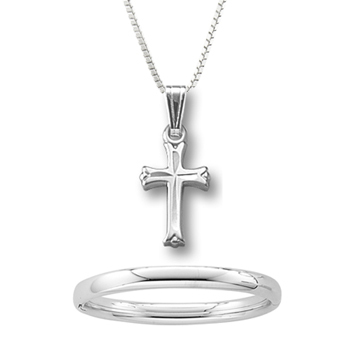 Bring faith close to your heart with this celebrity inspired cross style. We hope you have a fabulous Easter weekend and don’t forget to stop by our store either today or tomorrow to choose your Easter Egg! You could win one of many prizes available! Once you make a purchase, you are free to choose an egg in any of our showcases. You could win up to $300! This entry was posted in Jewelry, Jewelry and Holidays, Jewelry Guides, Jewelry History, Jewelry News, Jewelry Tips, Jewelry Trends and tagged cross, cross jewelry, crosses, jewelry for easter, jewelry warehouse, jewelry with crosses, sideways cross jewelry. Bookmark the permalink.